Keeping a diary or journal is something many people in recovery for substance use are asked to do. Whether you’ve done this previously for leisure or not, doing so in rehabilitation settings can feel a bit daunting. You may ask yourself, “Where do I start?” Hopefully, I can help give you some ideas and writing prompts that will guide you through the activity of journaling and assist you in achieving your best self. Stream-of-Consciousness: Writing, without regard to spelling or grammatical errors, for a specific time about whatever flows through your mind is a liberating way to explore issues that are troubling you. Diary: A letter-to-yourself recounting all the important events, challenges, and positive points of the day and how they made you feel can help you track your recovery progress. Gratitude: Especially helpful for those who struggle with negativity, counting one’s blessings daily will encourage you to have a more positive outlook and remind you that behind every cloud is a silver lining. Evening Reflections: Like diary writing, this is a listing of the important events of the day, followed by a reflection of how those events made you feel, challenges that arose because of them, and things you learned from how you reacted/what you wish you would have done differently. Goal-Focused: Focusing on goals each day based on the challenges and feelings you encountered can be a useful journaling technique. This allows to you practice setting attainable options for handling situations and people differently in the future to achieve a positive outcome. Spiritual: Tracking your spiritual journey, if that is something you are integrating into your rehabilitation, can be a wonderful topic for journaling. Questions, prayers, problems, confusions, and blessings can all be included for reflection. Health & Exercise: A record of everything from your sleep habits to physical activity, stress levels, water and food intake, and symptoms of chronic health conditions you may be trying to manage can support your quest for wellness. Depending on the type of journal you choose to keep, finding things to write about can occasionally present a challenge. Some days it will be easy to find emotions and thoughts that want to flow from your mind into your journal, but other days you may need a bit of help deciding on a thought or topic to write about. Keeping a list of ideas or having a specific set of topics to write about each day can help get you in the right frame of mind to release your innermost feelings. Whether you choose to have structure or not in your journaling, some of these topics may provide inspiration when the words come slowly. Is there anything I would like to change about myself? What are some things I wouldn’t change about myself? What are some goals I have for my future? Where would I like to be in five years? What are the top three priorities in my life? Why? What talents and skills do I have? What would I tell teenage me? How would I describe those close to me? What aspects of my life am I pleased with? Not pleased with? How do I determine trustworthiness in people? What are three qualities I feel are the most important in a good, trusted friend? What has made me smile today? This week? This month? What relationships mean the most to me, and how can I help improve/maintain them? Who have I helped recently? How did I feel about it? What struggles have I faced/am I facing in my rehabilitation journey? What desires, wishes, responsibilities, and needs were put aside or neglected due to substance use? When have I suffered feelings of regret after using? What negative consequences have I suffered because of my substance use? There are many profound therapeutic effects of journaling. 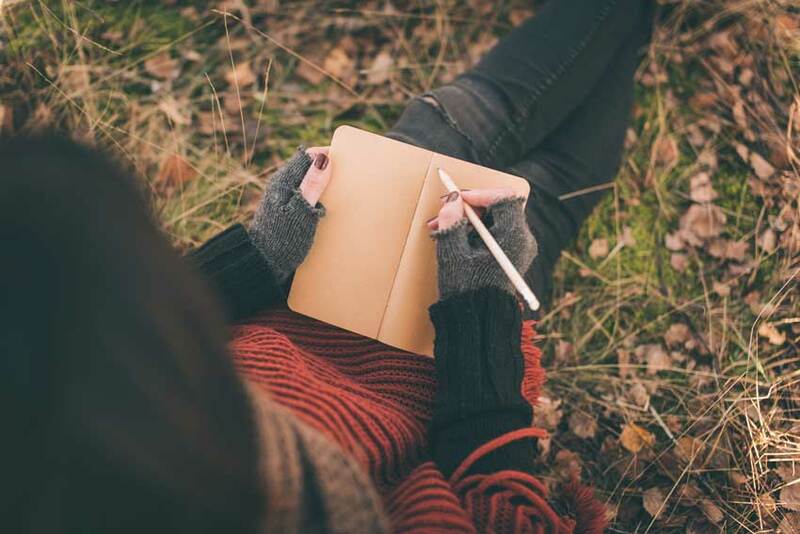 Journaling can enable you to see and understand the intricacies of yourself more accurately, as well as aiding in self-growth and self-awareness. You are free to release pent-up feelings and emotions and come to terms with challenging issues that have been plaguing you emotionally. Adding things into your journaling such as art, quotes, inspirations, spiritual verses, etc. is a great way to express emotions as well. Journaling can be a great way to improve your motivation and track the progress you’ve made in your recovery. It can also decrease the chance for relapse after leaving inpatient rehabilitation. There is no “right” or “wrong” way to journal in your path to recovery. Use these tips, options, and ideas to help you find the journaling techniques that are the best fit for you! To learn more about programs offered at St. Gregory Recovery Center, Iowa residential treatment center, call and speak with someone today, at (888) 778-5833.